Hello everyone! Hope everyone is doing well! If I were to choose my favorite it would be Vicks it could be used in different ways. to temporily stop cough and lubricate and soothe irritated tissues of the throat. for minor aches and pains. 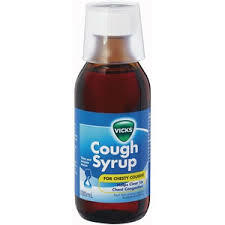 cough medications in those with a cough. 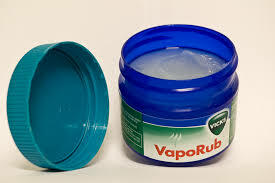 Is Vicks located in your cabinet?